You have to keep your face clean so that it will continue looking good right? So many people use harsh products and cleansers on their face to get their skin as clean as possible. Not necessary! Using a natural konjac sponge like this Oleavine Original White Konjac Sponge might just be a better idea. I have used a number of different Konjac sponges. This particular one is the one of the largest ones that I've owned so far. I do like the shape, since yes, I can use the tip of it around my eyes and the crevices around my nose. This sponge, like all konjac sponges that I've used, comes hard in the box, but after holding under running water, it softens up. You can use cleanser if you want or not. I usually use a little bit of a facial soap bar or some dead sea salt, but it still works very well without. 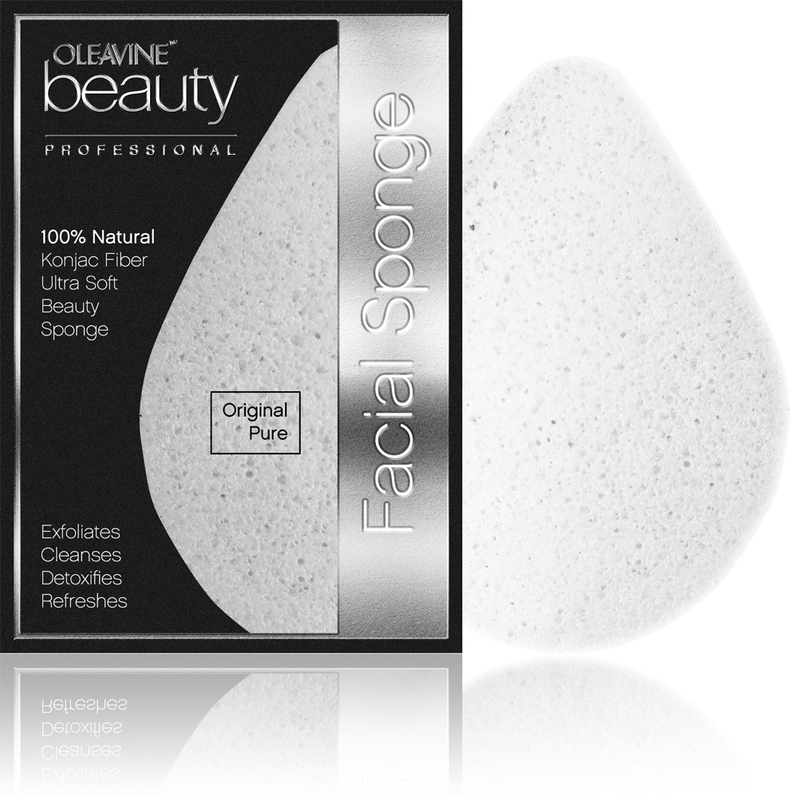 I love how soft and gentle this sponge is for daily cleansing. I use this one every morning and a different one at night. My skin feels very nice and super smooth and soft as well. It's perfect that this sponge is natural and free from chemicals since I'm pregnant and refuse to use any products that I think might be toxic or harmful to myself or my daughter in my belly. I highly recommend if you're looking for a way to exfoliate and cleanse without using a rough product. Also, you don't have to only use this on your face. It's big enough and gentle enough to use on your whole body. You can also connect with Oleavine on Facebook or visit them on their website.